The 147th British Open is the only reason we need to find out all there is to know about Carnoustie. 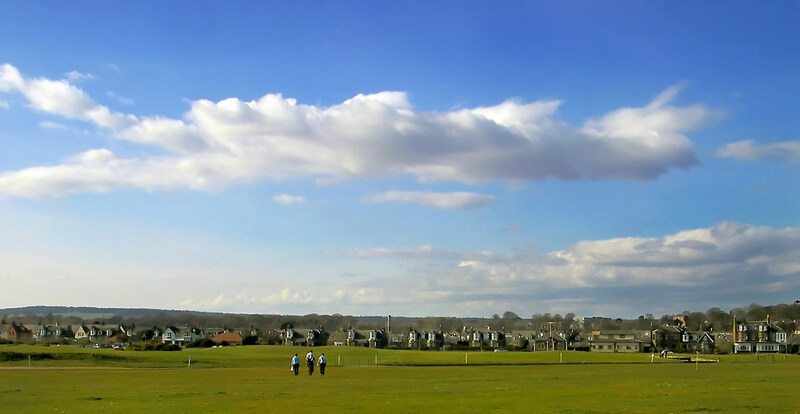 Carnoustie, in Angus, Scotland is renowned for its difficulty. It’s brought pro golfers to tears and earned the name ‘Car-nasty’ to the well-initiated. With such a reputation, digging deeper is really a no brainer. Here’s what you need to know before you consider giving it a go yourself. Aside from hosting some of the toughest Opens ever played, Carnoustie has also created some great champions. It’s the site of two of the four highest-scoring Opens, with arguably the hardest finish in the world. Pros like Tiger Woods and Paul Lawrie having commented on the difficulty of the course. It’s believed the course was played as early as the 1500s, but definitive evidence of play and the club starting is the mid-1800s. Designed by Old Tom Morris and Allan Robertson and then reformed by others ahead of the first Open in 1931, it formed one of the hardest three-hole finishes in the game. The reworks of the course were due to the belief that it wasn’t hard enough initially and it remains largely unchanged to this day. There are various reasons why Carnoustie is such a tricky course. The main one is that there isn’t a safe place to hit a golf ball. Consisting of flat plains of unsmooth sandy soil and rolling green hills hard as marble, the bunkers are plenty and greens as firm as the fairways. It’s a twisting, winding course with a water-filled ditch known as the Barry Burn that weaves its way in and out of the 17th and 18th fairway. And when it’s windy (and it usually is) there’s a whole new element of complexity to the game. Carnoustie played a detrimental role in raising the sport’s popularity, as Carnoustie and its infamy was a home for players in their formative years who ended up immigrating to the United States as instant pros. The recent heat and dry weather has had an interesting impact on the course, making for firm and fast golf, that’s more like playing on cement than grass. This will likely result in an interesting Open and not play you’d usual witness. The final hole at Carnoustie is called ‘home’. Both fitting and a place most people will be making their way to Sunday evening.